A WEEK has passed since the Barisan Nasional got swept out of power in the country’s 14the general elections since 1959, ending the coalition’s 61-year continuous hold on power, beginning with the Alliance. The dust hasn’t quite settled down completely and without a Cabinet and with the three party leaders first appointed haven’t been sworn in, it’s been a one-man rule since, with new Prime Minister Tun Dr. Mahathir Mohamad – in the same chair a second time around and at almost 93 the world’s oldest elected head of government — making all the final decisions. If you look at some of the comments at Facebook, it’s obvious that the euphoria remains very much in the air for some, now that an unpopular government seen to be corrupt is gone. The transition has been smooth, although there is the perception that there indeed is a witch-hunt, especially affecting some senior civil servants heading some agencies. 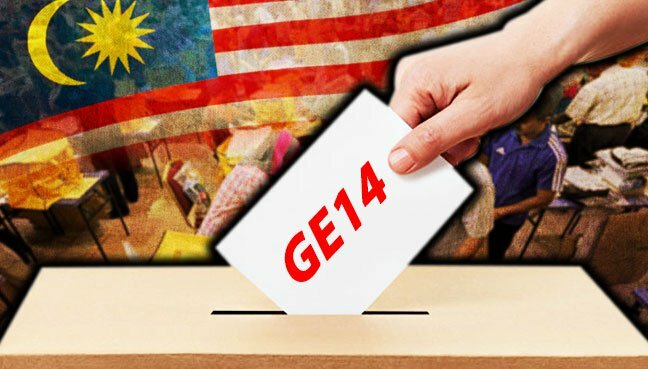 For BN the signs were already there since the elections in 2008, when it couldn’t hold on to the two-thirds majority, the second time this had happened in 12 GEs. Then it happened again in 2013, worse in fact in terms of seats lost and the total number of votes secured, although it continued to remain in power. 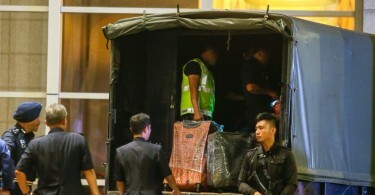 But the fact that the then opposition Pakatan Rakyat won 50.87% of the total votes despite winning only 89 seats against BN’s 133 was turned into such a contentious issue, although something similar had happened many times in the more established Western democracies like the United States, Britain and Canada. The detractors both in Malaysia and overseas swore that because of the way constituencies are divided, there was absolutely no way the opposition could win control of the country, with the inference being that with the rural seats being dominated by Malay voters, the support would surely favour a Malay party like Umno, conveniently ignoring the possibility that these votes could instead go to the Pan-Malaysian Islamic party or PAS, another Malay dominated party that has spent most of its time in the opposition and remains so until today despite its BN-friendly stance in the last few years. A lot of noise too was made about the delineation exercise by the Election Commission said to be favourable to the ruling government and what is commonly called gerrymandering. But the voters had other ideas and by late evening that Wednesday night, it was crystal clear that Malaysians had voted for a change in government, which is proof enough that no matter how hard one may try to disrupt the process, ultimately it’s the voters who decide. That’s the power of the secret ballot and in this case, it also debunked the thinking that cheating or an unfair electoral system would always ensure the previous government remained in power. A total of 10 states and the federal territory of Kuala Lumpur went to Pakatan Harapan and PAS. Although it still carried the flag highest for BN, Umno ended with only 54 seats compared to the 88 in 2013 while MCA won only one compared to seven previously. MIC won only two compared to four five years ago while Gerakan had nothing to show. On the other side PKR added 17 for a total of 47 against 2013’s 30 and the DAP had four more to make it 42 against the 38 in 2013. PAS did slightly poorer to lose three seats for a total of 18. 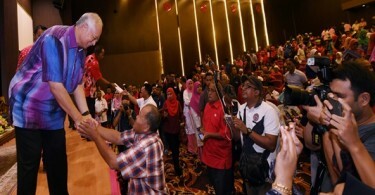 If the Malays in the villages had opted for Umno, as had been theorised as guaranteed support all these years, Umno would have surely done much better. So too PAS. The other point that is often talked about is whether Umno should carry on the way it has existed since its birth in 1946, and that is to remain as a party wholly for the Malays and Bumiputra, with the argument in favour of it being open to all races. The reasoning is that a race-based party is no longer what many Malaysians want. That may be true to a certain extent but when the results of the elections are studied in totality to encompass the issues said to be the factors that decide the outcome, you will never find one or a few common denominators that could be applied to every GE. If this argument is true for Umno, how does one explain the massive Chinese support for the DAP, a multi-racial party no doubt but one that is Chinese dominated. Study the composition of its national leadership, the respective sections for women and youths and also those in the states and you will see how Chinese the party really is and yet no one equates this to Umno’s position vis-à-vis the Malay electorate. There are many questions that need answering by Umno and to be able to have a clear mind and sense of purpose, the party has to have inputs from neutrals on the outside because many of those on the inside may not be able to separate the wood from the trees.